A year ago last spring, I was making calls to visit pastors in the KC area. It was my fifth day on the Light-for-the-Lost Tour, and I wanted to see if I would be able to get some face time with missions-minded individuals while I was in town. My goal was to be able to build our support so that we would be able to leave for the field, but God had seen fit on that day to begin a relationship that would have lasting repercussions. In my calls, I spoke with Brandon Watkiss, Director of Operations for Partnership International, an organization designed to facilitate short-term missions trips. He agreed to meet with me that day to see the ways in which we might partner together. During the hour that we had that day, he spoke to me about monthly support, but he also shared his desire to link missionaries with missions teams in a way that was mutually beneficial to both the ministry of the missionary and to the lives of the team members. We parted encouraged, having both seen the potential of this new relationship. The got on the ground on July 24th, and were undaunted by the rough accommodations at the Bible School. Armed with their own bedding, they set themselves up in what would be their home for the next week. They had little experience, but with instruction, they moved quickly on the first day, preparing the roof to receive the concrete that would be poured the next day and getting started on the kitchen walls on the lower floor. The second day was a marathon of digging, pouring and carrying, as sand, gravel, water, and cement was mixed by the bucket load, time after time in order to pour what was to be the floor of the second level and the ceiling of the lower level. 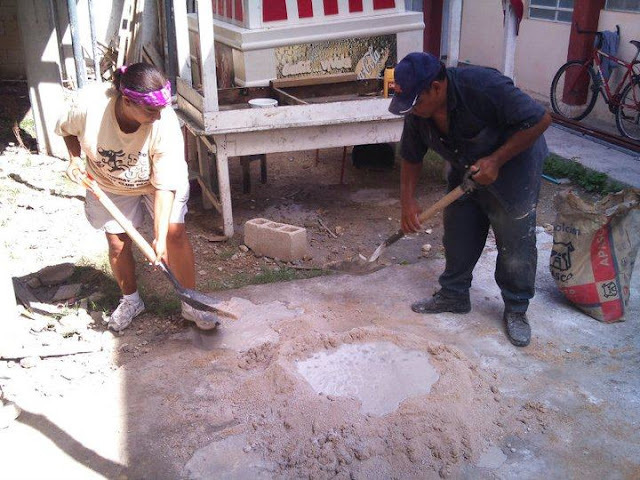 With their persistence and the help of local pastors, the work was done with time to spare before lunch. The quick work on the first two days enabled us to prepare for the children’s services scheduled in the towns of Oxcum and Kilinché respectively. We spent time in prayer and canvassed the neighborhoods on Wednesday and Thursday in each of the communities, getting to know the both the believers in each congregation and get a concept of the specific challenges that each pastor faced in their ministry. On Friday, the work stopped on the Bible school, but the ministry moved into full gear as services began. 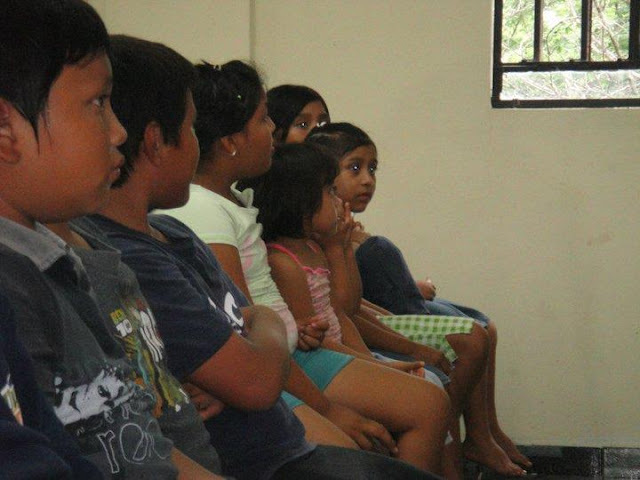 With a combination of songs, dramatized Bible stories, games, and lots of activities, the group effectively communicated their desire to be with each community and direct them toward Jesus, the one who had brought them to share His love in tangible ways with both the children and adults that gathered in each event. Some of the highlights of the week came when, in Oxcum, some 80 children participated in Saturday’s event, where we had the chance to pray for many who indicated their desire to be a part of God’s family. Another came on Sunday night where, in Kilinché, two women came forward and committed their lives to Jesus for the very first time! As we wrapped things up, we got chance to hear from the team members about their experience in the Yucatan. 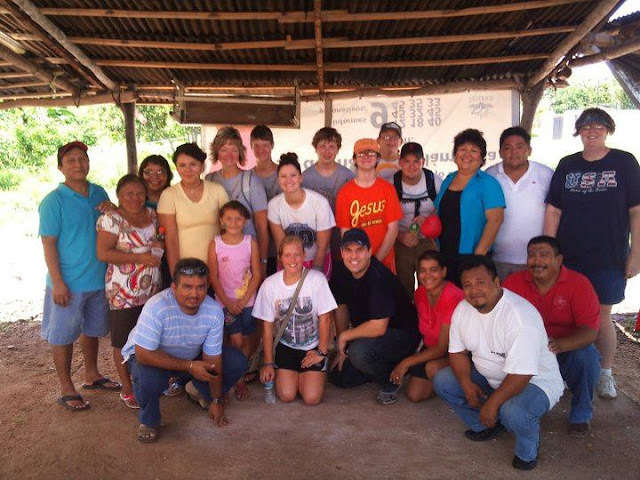 Pastor Jeremy Naranjo shared that the trip had been the realization of a dream that he had had to personally lead a mission’s team. He had faced several obstacles in the past, but he was glad to see how, through Partnership International and the ministry opportunities in the Yucatan, he was able to see this vision come to fruition. Others spoke of the life-changing nature of the trip, from the cohesion of the group itself to eye-opening experience that they had in their face-to-face encounter with the culture of the Yucatan. Each pastor as well expressed their gratitude for the work that had been done. Buildings had been advanced, communities had been opened, and lives had been restored because of their labor. What Brandon Watkiss and I had seen as potential in the spring of 2010, the linking of missions teams and missionaries to for mutual benefit, has taken its first step toward becoming a reality. It is our prayer that, as we continue to observe the need and the way that God is working in the Yucatan, we’ll be able to utilize teams targeted specifically to advance the kingdom, both in the lives of the individual team members and in the ministries of the pastors and leaders with whom they work.